Is multilogin better than buy a new cheap PC ? I'm not 100% sure about Multilogin, but you don't even need to get a new PC. You can also use VMWare which runs on your current PC (assuming your PC has enough Ram, Fast CPU, Large capaciy HDD). The only problem is MLA is rather expensive for most people, especially if you pay on a monthly plan. They no longer offer the free 10 profile plan. Consider MLA an option only if you have a serious business and can justify the cost. For me, it's just another tax write off. I agree with Nick, if you have a several strong selling accounts it may be worth it. Just looked at the multilogin website and it says "Fresh browser fingerprints every minute"
I'd like to know if it's easy to use .. The whole point of using MLA is it's ease of use. If you send them an email, they may be able to set you up with a free demo account still even though the free plan has been discontinued as of last year. Now I'm downloading MLA, I've read there aren't IP dedicated with MLA, I want to use IP dedicates with their profiles, is it possibile ? I myself just use multiple user accounts. Never had an issue doing things that way. Surprised no one mentioned that yet. If eBay suspended the account, it's very unlikely a problem with MLA, but might be your IP or account creation process. 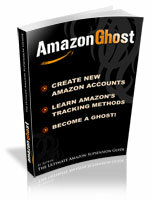 Make absolutely you are following the stealth guide and proper seasoning your accounts before you start selling. Now I'm downloading MLA, I've read there aren't IP dedicated with MLA, I want to use IP dedicates with their profiles, is it possible? What IP service do you use with MLA ? Yes, Auto change can't be good. Could you send me the link, where you find this ? I'm using a combination of private and residential proxies. By "private" I mean I have my own network/ip space that is not available to the public, nor for sale. This means no sharing, or blacklisting by eBay or PayPal. What supplier are you using for residential IP's? I am using MLA as well. Been using Antidetect 7.5 as well (too complicated for me) From what I can say: it's extremely difficult to find good socks proxies for it. At least proxies that do not rotate during the session. Last edited by ares; 03-01-2019 at 05:55 AM. ive been using a chromebox + 24vc VPN across 5 ebay+amz accts w/o issues for the last 2 years. anyone else doing the same? also there is something you need to know about it . Multilogin Fingerprints is not Natural . many AFS actually can detect a noise has been added to this fingerprint . browserleaks easily can detect that .